Memorial Day was begun to honor the Americans who served us when we were drawn into war. It began in 1866, beginning with ‘Reconciliation Day’ in May after the end of the Civil War. It continued through the First World War and the Second, from Korea to Viet Nam, Iraq and, now, Afghanistan. Poppies, from the battlefields of Flanders in France and Belgium, became the symbol of Memorial Day. ‘Service’ is the euphemism we give to that term when a young American accepts the risk of giving everything for our country. Our soldiers and sailors, for as long as their term lasts or as long as the needs of the country require it, have accepted the duty to preserve and protect us by taking on the cloak and the uniform of the military, to leave safety and family to go in harm’s way in our name, and all too often, to not come home or to come home transformed by the harm that has come their way. Please take a moment on this Memorial Day to honor those who served all of us. 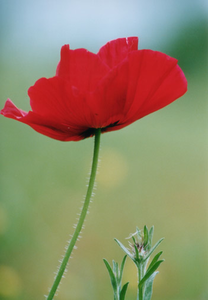 Please add the names of those you wish to honor and forward this poppy to others so that they may add the names of those they wish all of us to remember on this Memorial Day, 2010. If you like, please send me an email at jack@jackwlondon.com, and I’ll help you add names. You can share it on Facebook or paste the website https://jwlbooks.com/category/blog/ into an email and send it on to those whom you know will appreciate your thoughtfulness. However you choose to honor our men and women, please know that I want to honor them with you. With your help, let us share their memories and this symbol now, through Memorial Day, and beyond. It’s the least we can do. 62. Joseph Catale, Decorated Marine Veteran of the Pacific. Please add to this list and keep it going or send to me and I’ll be happy to add names for you. It’s the least we can do.